Section which boasts internal clipping suppression and non-linear analog saturation. 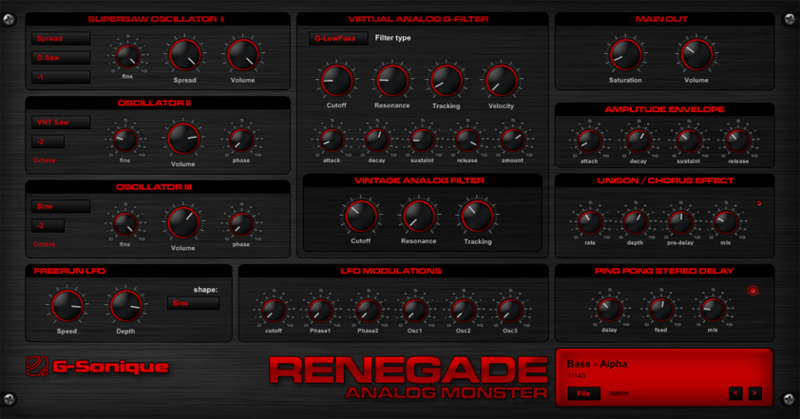 Renegade has been designed to supply tough, well defined lead sounds, fat basses and juicy organic analog sounds. styles: Trance, Dance, Drum and Bass, Breakbeat, Electro, EBM, Tek House, Psytrance and Goa. 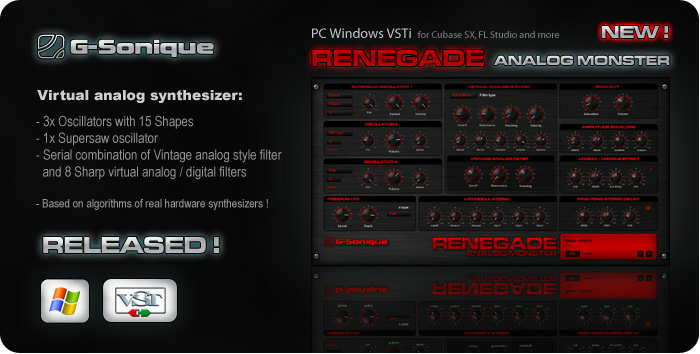 The Renegade also includes more than 120 professional presets of various types including Bass, Classic, Leads, Drum and Bass and Psytrance patches. 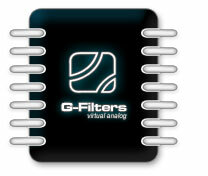 - 2x Digital and virtual analog oscillators with sharp sound, PWM modulation and Phase modulation knob. - Chorus / Unison stereo detune simulation effect. - Digital algorythms written in C++/Assembler based on real analog circuits and codes from DSP chips.